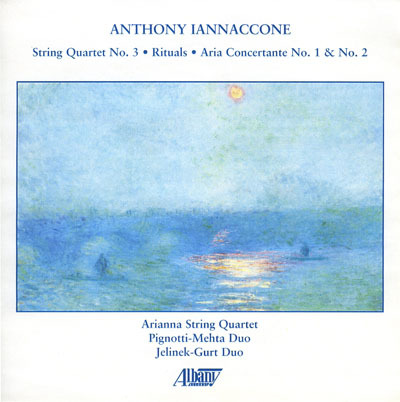 Anthony Iannaccone's ARIA CONCERTANTE No. 1 for Cello and Piano now available! 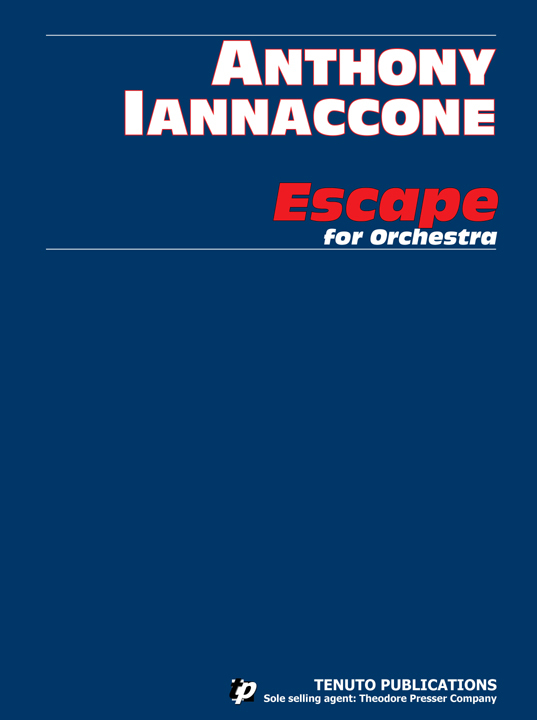 Available on Albany Records for many years, Anthony Iannaccone's ARIA CONCERTANTE NO. 1 is now in print for the first time. This work and its companion ARIA CONCERTANTE NO. 2 were commissioned by Jerome Jelinek and Joseph Gurt, whose Albany recording isnow also available on YouTube. Plaintive yet sensual, ARIA CONCERTANTE NO. 1 was the Winner of the Missouri Contemporary Music Competition, a national award with a panel of judges led by Aaron Copland. The 11-minute work is aptly described by its title, beautifully rich with contemporary cantabile writing, as well as brilliant effects and technical passages. 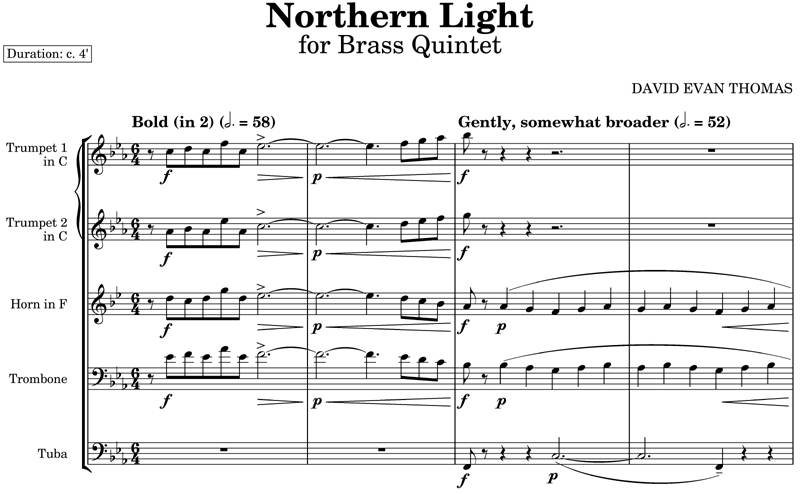 Tenuto Publications is delighted to welcome the masterful David Evan Thomas to our catalog with a brief work for brass quintet that is easy to put together and can be played in recital, gigs, outdoors, at church, and in any context your quintet is performing. while sounding as an elegant Prelude, Sarabande, Burlesca, and Gigue. 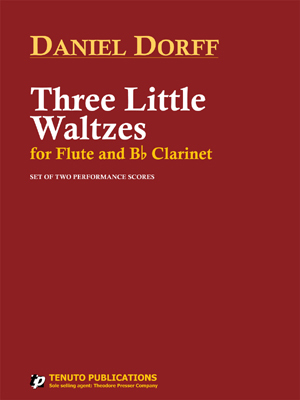 One of Daniel Dorff's charming yet challenging works for Flute and Clarinet, THREE LITTLE WALTZES was originally published in the collection OLD NEW BORROWED BLUE (494-02688) but wasn't available separately until now. 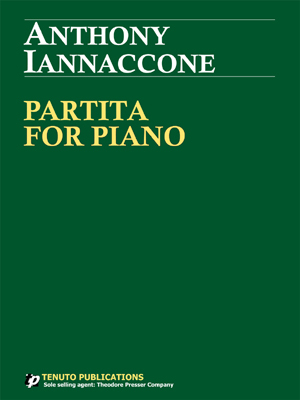 Tenuto Publications has released the work separately for the first time, in an edition that includes two copies of the shared score. The work has been recorded by Leonard Garrison and Shannon Scott on Albany Records and can be heard on YouTube. 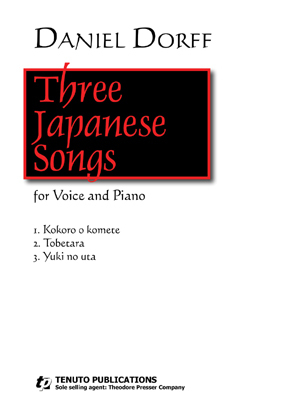 Dorff's art songs on Japanese texts have been premiered from prestigious Suntory Hall in Tokyo to a dock floating on the banks of the Schuylkill River in Philadelphia. The poems by Dorff's family and the composer himself are inspired by love of family, love of flying, and love of snow. 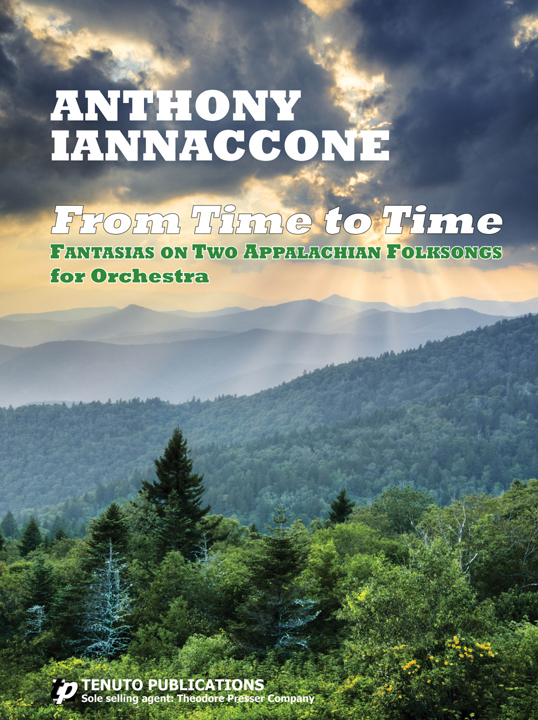 Continuing our series of 9x12 study scores of orchestra music by Anthony Iannaccone, Tenuto introduces convenient publications, large enough to conduct from, of ESCAPE and FROM TIME TO TIME (FANTASIAS ON TWO APPALACHIAN FOLKSONGS). Both works are recorded on Albany Records. 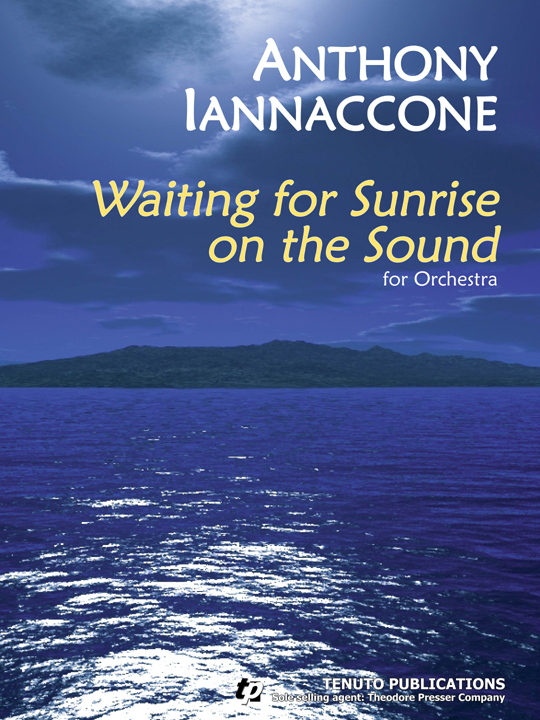 Now available in convenient 9x12 publications, and large enough to conduct from comfortably, Tenuto is proud to announce two exhilarating orchestra works by Anthony Iannaccone. WAITING FOR SUNRISE ON THE SOUND was a finalist in the 2001 Masterprize competition, chosen from a field of over 1000 entries. The musical narrative is inspired by the composer's childhood nightmares about boating on the Long Island Sound during storms. 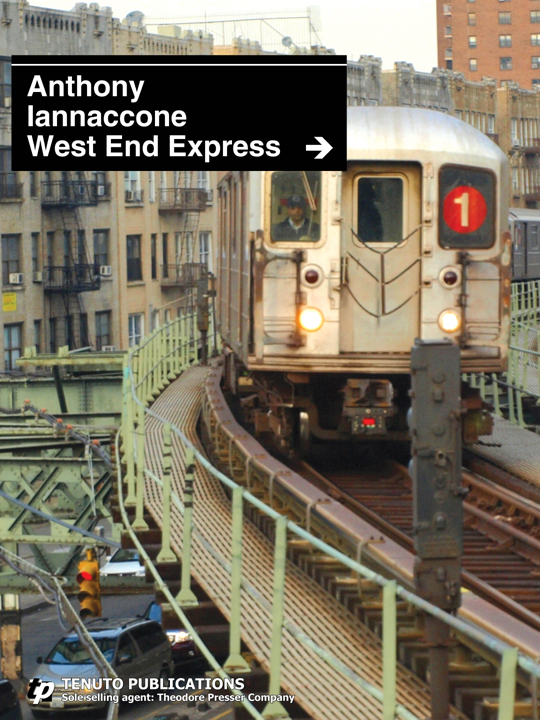 WEST END EXPRESS also draws from Iannaccone's youth, inspired by the subway that shuttled him between Brooklyn and Manhattan. Both works are recorded on Albany Records. 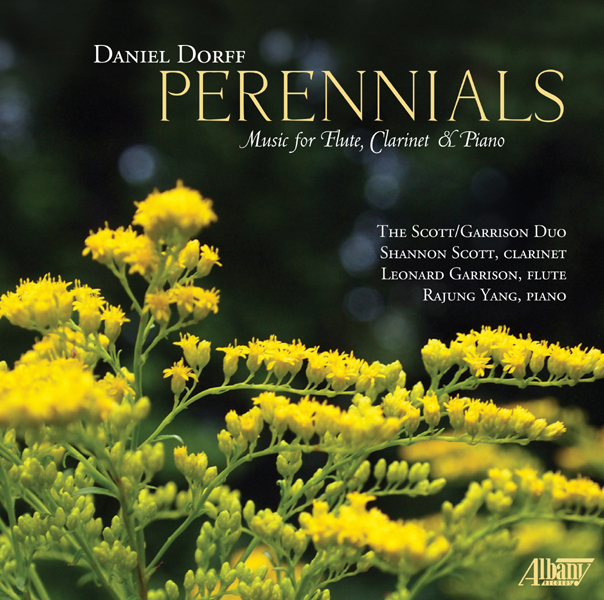 The flute/clarinet duo of Leonard Garrison and Shannon Scott, joined by pianist Rajung Yang have recorded a complete collection of Daniel Dorff's music for flute/clarinet duo. The recording features PERENNIALS for Flute, Clarinet, and Piano; ANDANTE CON VARIAZIONI for Flute and Clarinet; DANCES AND CANONS for Flute and Clarinet, THREE LITTLE WALTZES for Flute and Clarinet; THREE ROMANCES for Flute and Clarinet; TWO CATS for Flute and Clarinet; along with flute/clarinet adaptations of several of Bach's Two-Part Inventions, and a bonus track for clarinet and piano. Audio clips from the CD are available here.